Hi everyone! I am so unbelievably happy and excited to be a part of the Stay Bookish blog squad! My name is Jamie and I live in Toronto, Canada, but my home away from home will always be the bookstore. 😉 I’m 19 years old and like any bookworm, I love to lose myself in between the pages of a book. I’m a huge hopeless romantic, so my favourite genre to read is contemporary, but I also love reading historical fiction and fantasy. Here are more little things about myself! I still haven’t read Harry Potter despite owning the whole series! I have an identical twin! She’s my best friend along with my older sister. 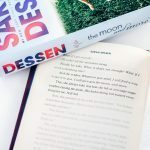 My all-time favourite author is Sarah Dessen because her book, The Truth About Forever, is the book that got me into reading! It also happens to be my favourite book. I’m currently studying Psychology in my second year of university. I have a really bad habit of buying way too many books, so my bookshelf has more unread books than read. 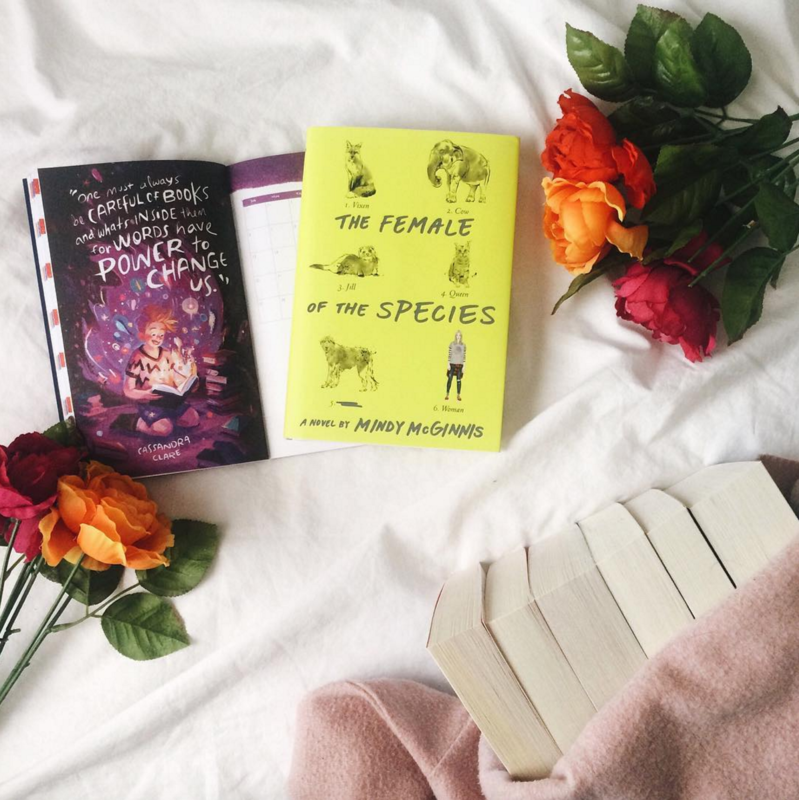 The book I would recommend everyone to read is The Female of The Species by Mindy McGinnis because it will seriously blow your mind and leave you thinking. 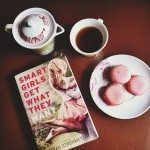 I’ve always wanted to share my love for books by book blogging but I’ve never had the courage to do it until now. 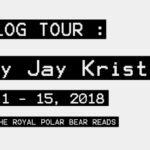 This is my first time ever book blogging and I’m so happy to be able to do it alongside the lovely group of ladies you’ve already met at an amazing blog like Stay Bookish. 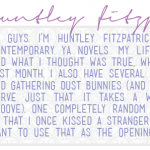 Hazel’s blog was actually one of the first book blogs I fell in love with, so to be able to be a co-blogger is a dream come true. I’m so so excited for the journey ahead and I hope you’ll join us along the way! Hi Tasya! Thank you so much! :) & yay! Glad to hear that :) I’m so excited for Sarah’s new one coming in the summer! Welcome, Jamie! I’m always amazed when someone older than, say, thirteen says they haven’t ready Harry Potter yet! Which is silly since my husband hasn’t even read the whole series (despite my urging over the years). But at least you have the books for when you decide to dive in. I first read The Harry Potter books when I was 25, so there`s still time for you. 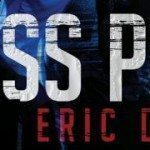 The Female of The Species has been on my TBR for ages. Hopefully, I will get to it soon. And yes, the amount of tissues I used for The Kite Runner – it is my all time favourite book. Well, apart from Six Of Crows and… I’ll stop there. Ahh I know I know! I’m planning on reading it this year!!! It’s definitely a goal of mine before the year ends!